YMCMB and MMG held an “I Am Still Music Tour” Ciroc after-party recently, and you can check out Lil Wayne and Rock Ross performing “John (If I Die Today)” at the party above. After the jump, you can watch some footage of Weezy performing live in Mansfield, Massachusetts at the Comcast Center on July 17th. 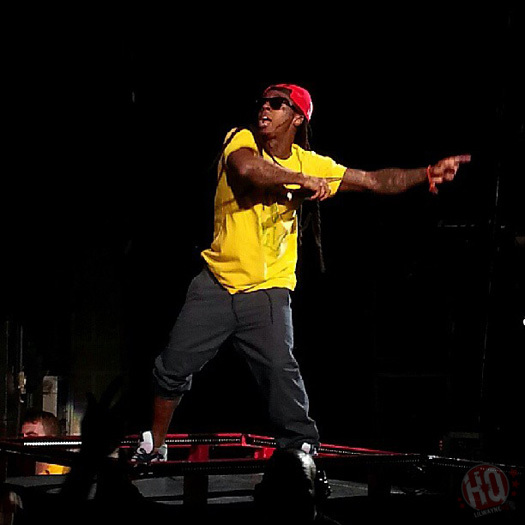 Tunechi will be performing in Scranton, Pennsylvania at the Toyota Pavilion tonight!